VIP travel during the holidays that won’t break the bank, you say? Apparently, Santa is real. And commandeering Airstream 2 Go, the company that offers luxed-out trips throughout our great land in an iconic silver bullet trailer, now available. Think of it as the Great American Road Trip in a roving five-star hotel. A2Go started a couple years back, offering rentals of pimped-out Airstream trailers throughout the Southwest. Travelers had the option to either go at it DIY or follow a comprehensive itinerary put together by “exceptional travel experiences” company Off the Beaten Path. 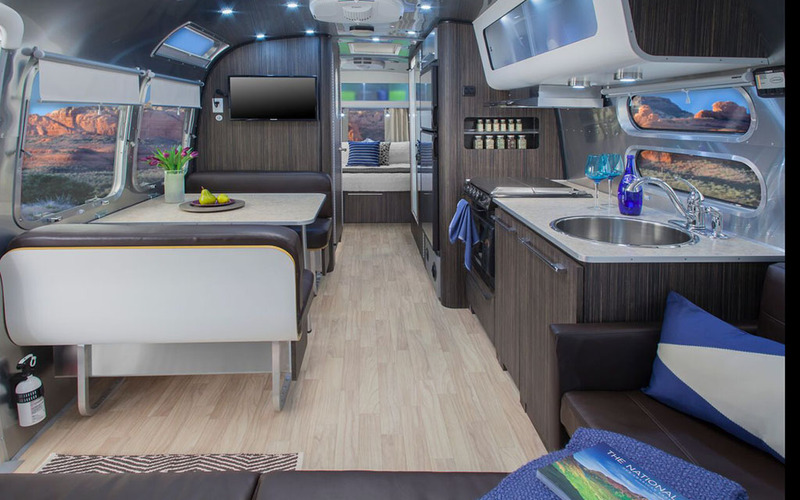 Each trailer is equipped with a flatscreen LED TV, high thread-count sheets, full kitchens and bathrooms, integrated indoor/outdoor sound systems, iPads and more. A2Go’s newest offering, launched this week, is the “Texas Two-Step.” Starting in El Paso, travelers stop for hiking and horseback riding adventures, star-gazing at the McDonald Observatory in Fort Davis, whitewater rafting on the Rio Grande, excursions to Boquillas, Mexico, and wildlife watching in Big Bend National Park. Or go at it alone. The itineraries start at three days and last up to two weeks, and can be customized to your preferences. Along the way, you’ll stop by the Texas boot company Lucchese and pick up your own complimentary pair of boots for the journey. Best of all, these trips — launched now and going through April — count as “off-peak” journeys. Good luck finding that anywhere this time of year.